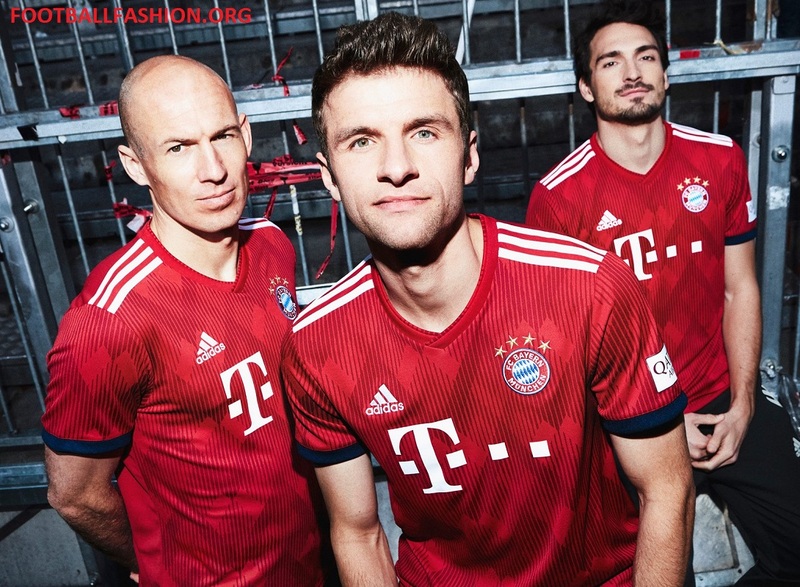 German Bundesliga champions of the the last six season in a row and twenty eight times overall, FC Bayern München have revealed their 2018/19 home kit from adidas. 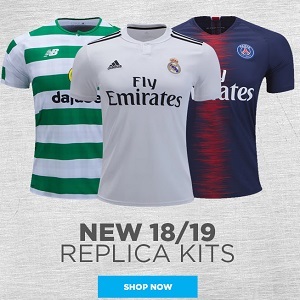 The new Der FCB primary jersey will be available at World Soccer Shop, Kitbag, Subside Sports, Lovell Soccer, Pro:Direct Soccer and UK Soccer Shop. The Bayern Munich 2018/19 adidas home shirt maintains their in iconic red but with a revised design. A series of diamonds taken from the club crest appear in different shades of red across the entire chest, the sleeves and the collar of the jersey. They are arranged in M-form – a homage to the slogan of the club, “Mia san mia”. 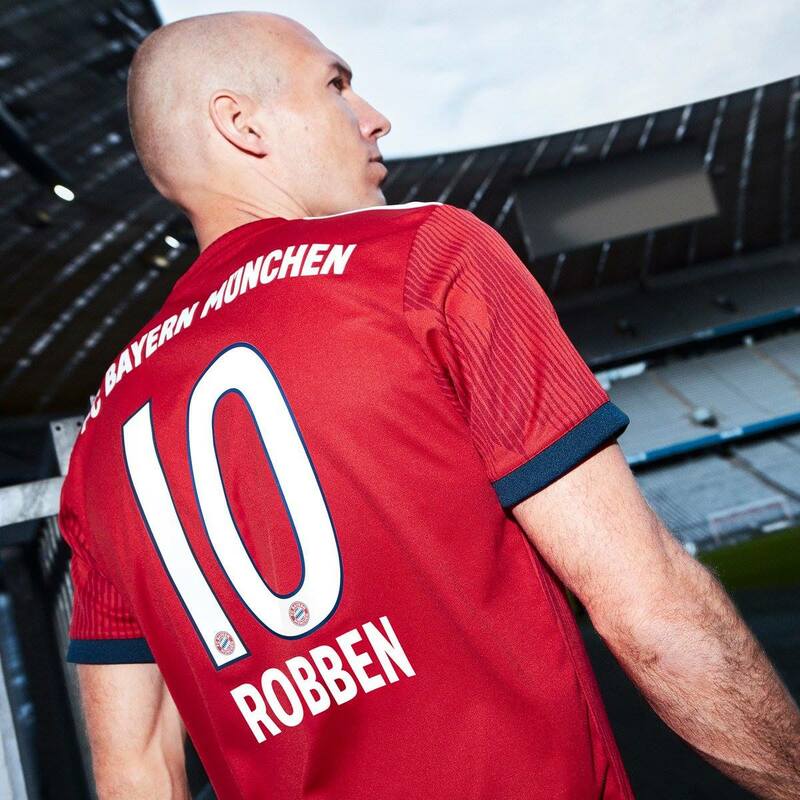 A V-neck and navy blue accents on the sleeves complete the new FC Bayern home look. Jürgen Rank, Senior Design Director of adidas Football said, “FC Bayern is one of the most legendary football clubs in the world. Our design philosophy, from authenticity to progression ‘stands for making this tradition visible in a creative way and linking it with technical innovations. The lozenge pattern is also found in artwork created by local artists as part of a global launch campaign featuring Bayern Munich stars James Rodriguez, David Alaba, Javi Martinez, and Thomas Müller. 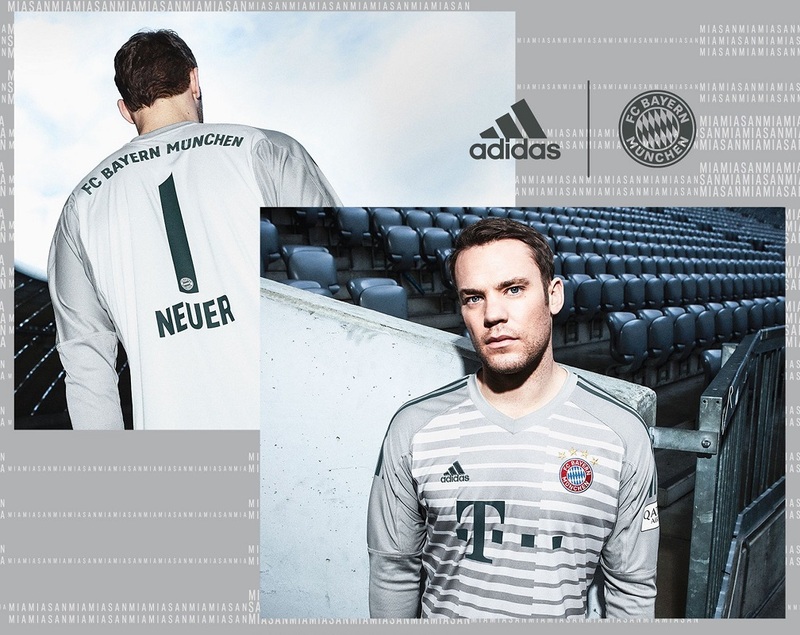 Together with the agency DieZwei (Nuremberg) the jersey was staged as a symbol of creativity. The artwork celebrate the individuality as well as the history of the players and, at the same time, are connected by their common diamond pattern. 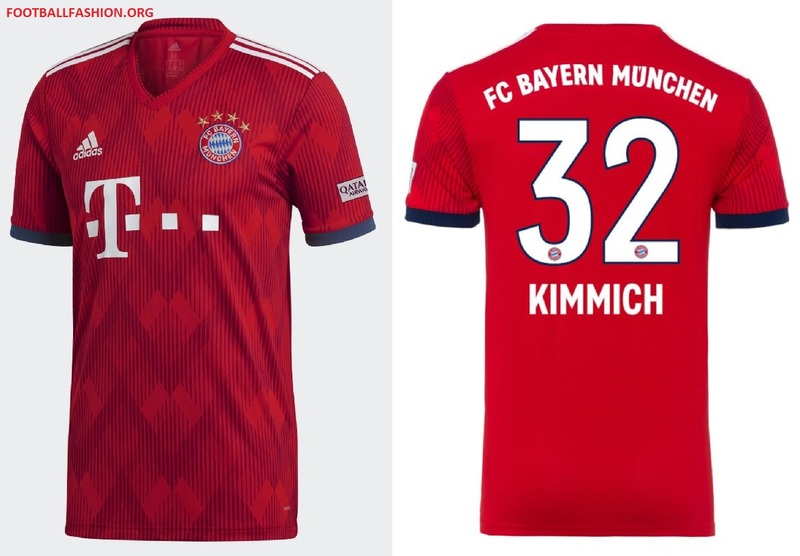 Bayern München will debuted their 18/19 home kit when they host VfB Stuttgart at the Allianz Arena on May 12th. It will see further action during this summer’s ICC Champions Cup.